Today, we are focusing on Non-Fiction Text Features in our lesson and we will also be completing a stations activity over the topic of "Fortnite" to practice analyzing informational text. Today, we will be working more on properly summarizing informational text. We will be working on a lesson from TEA on Analyzing Informational Text to practice. 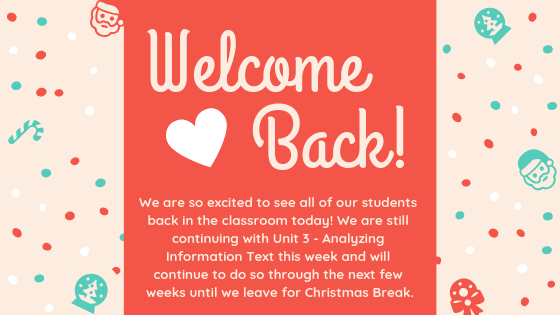 Today we will have a shorter class period due to Benchmark testing across the campus, but while in class we will continue working on yesterday's lesson. We will only see our morning classes today. 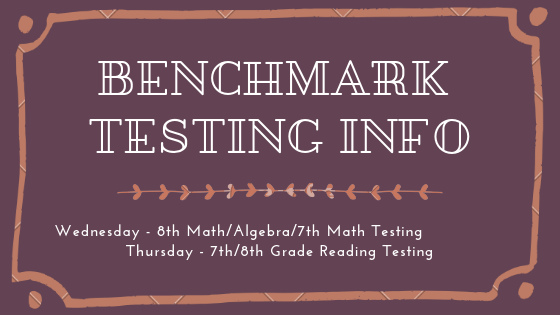 Today we will have a shorter class period due to Benchmark testing across the campus, but while in class we will continue working on Tuesday's lesson. We will only see our afternoon classes today. After a long week of testing, we will wrap up the week by comparing and contrasting informational texts. Students will read “Robo Legs” and “Eureka: Scientific Twists of Fate” in the literature book. 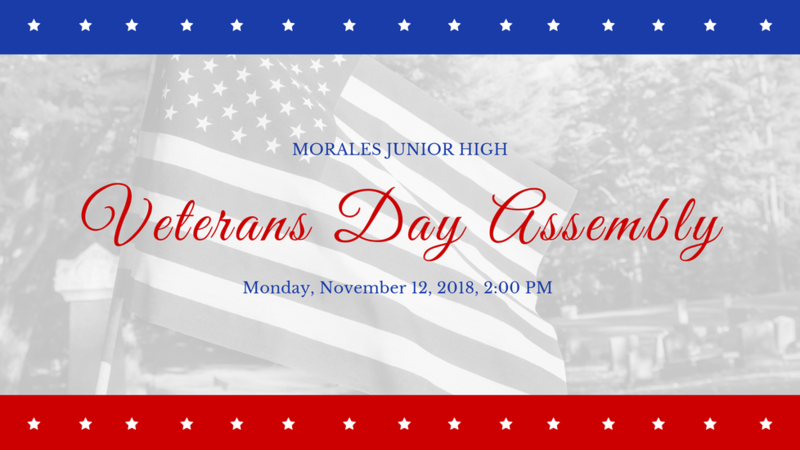 Monday there will be a Veterans Day Assembly at Morales JH at 2:00 pm. We will be on Pep Rally Schedule this day. In class, we will analyze informational text over Veterans Day and discuss the meaning behind the holiday. Students will have an opportunity to share about the veterans in their lives with the class. We will also practice identifying the organization patterns in these informative texts. Students can review text structure by watching the video below from the previous week. 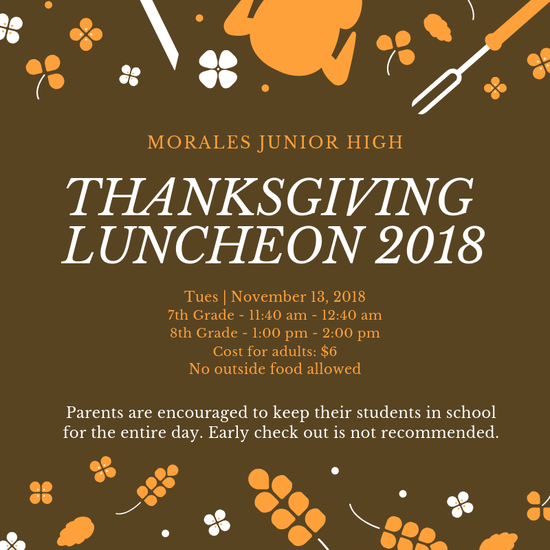 Thanksgiving Luncheon with Parents - 8th grade will take place from 1 p.m. - 2 p.m., 7th grade is from 11:40 a.m. - 12:40 p.m. The cost for parents is $6 and must be paid on the day of the event. We highly discourage parents from taking students out of school early this day as we have important lessons continuing to be taught in class. In class, we will be creating a foldable over the different text structures we are studying in our current unit. This will serve as a valuable study tool throughout the unit and for the Unit 3 Exam in December. We will also be discussing and reviewing data from their most recent Unit 2B Assessment to clear up any misconceptions. TUTORING WTH MR. MCCLEERY TUESDAY UNTIL 5:30 P.M. In class, we are going to work on task cards over text structure as a way to gauge student understanding. We will also introduce a new strategy for summarizing the main idea in informational text. 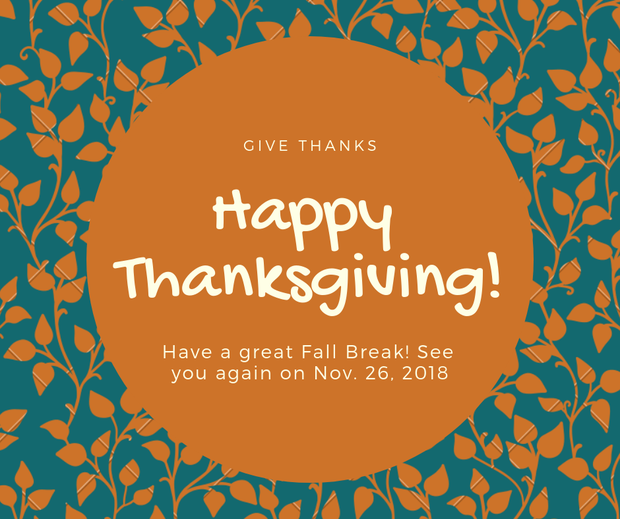 Mrs. Arias and Mr. McCleery have a staff meeting this day and will not be available after school. Mrs. Arias and Mr. McCleery will be out on Thursday for a training so there will be two substitutes in class. We ask kindly that students be on their best behavior. In class, students will be applying the skills they have learned to analyze informational text by applying them on an in-class practice assignment. TUTORING WITH MRS. ARIAS AFTER SCHOOL ON THURSDAY UNTIL 5:30 P.M. In class, students will practice summarizing informational text with an interactive activity in groups. We will also practice distinguishing between factual claims and opinions in informational text today, too. Have a Happy Thanksgiving! Please be safe and be sure to rest. Be ready to come back on Nov. 26 ready to learn more about informational text in preparation for your Unit 3 Exam in December.